I have been to Cebu City twice but I have never tried one of their famous lechon houses: Rico’s Lechon. Lechon is roasted pig slowly cooked over charcoal. There are different ways to insert flavor into the pig before or during roasting, this is were they do their magic and they will do anything to keep it a secret. 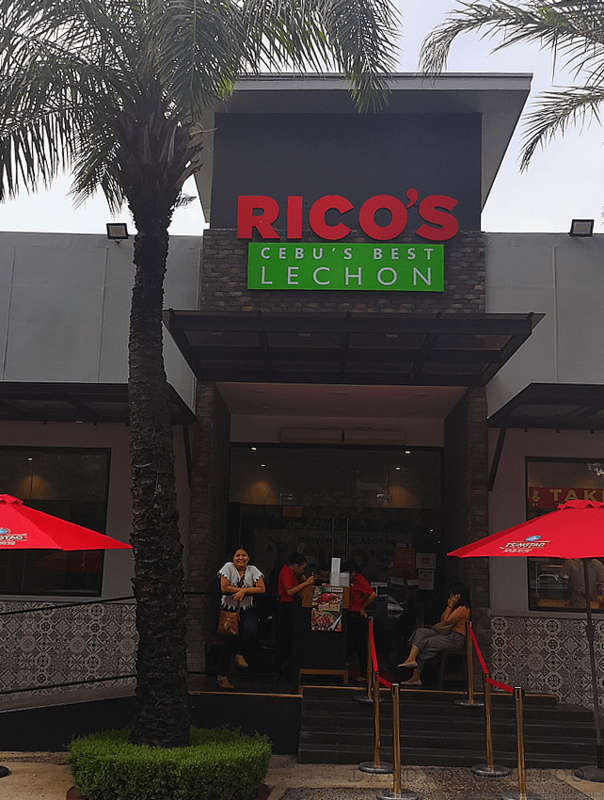 Finally, Rico’s Lechon opened their first branch here in Metro Manila. Located at The Fort ,at the heart of Bonifacio Global city. It is an ideal location for the place and it receives a lot of traffic coming from the office buildings surrounding the area, plus it is in the middle of a parking lot. Now Parking at BGC is a waiting game. Make sure you bring a lot of patience if you seldom go to BGC. Plus BGC implemented a new one way traffic scheme which has the 7th avenue and 28th avenue surrounding the entrance to the parking affected. If you are coming from McKinley road take 5th ave. then turn right to 28th ave. then another right at 7th ave. You’ll find the entrance to the parking on your right. Growing up from the north of Metro Manila which is part of Luzon, one of the main islands that compose the Philippines. I have already tried the style of cooking lechon from the famous lechon houses that came from La Loma, a popular place in Manila where a lot of different lechon houses converge. Filipinos are crazy about lechon. It has been the star of the table in any celebration. Different places in the Philippines has their own unique way of preparing their Pig before roasting to insert flavor to the meat. 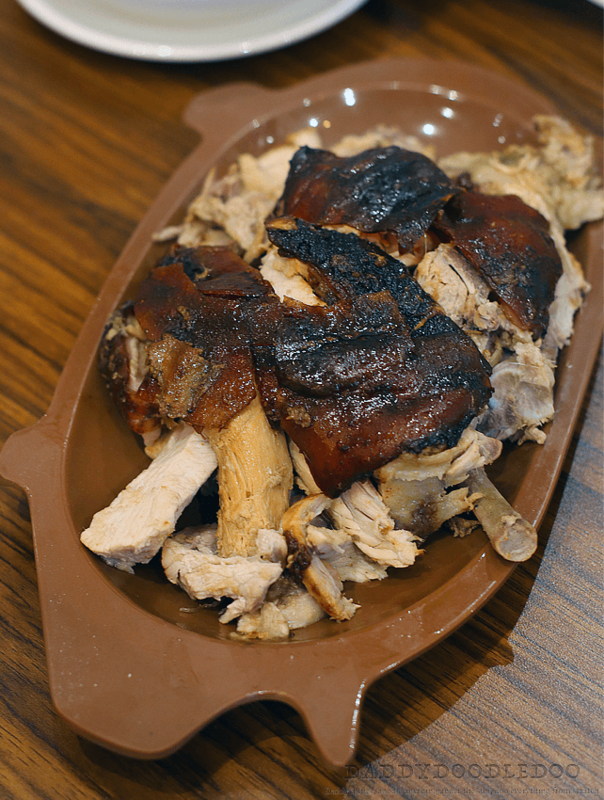 When our family went to Cebu, we have tried eating at Zubuchon, also a famous lechon house in Cebu and it was good. I also wanted to try Rico’s lechon that time but we don’t have enough time to go there. So when Rico’s opened their BGC branch I was really looking forward into eating there. I heard it is hard to get a table around lunch time and even harder finding a parking space during that time, because a lot of restaurants are located at the same area. We decided to wait after the rush to avoid waiting. We came there around 2 p.m and there were only a few tables occupied plus parking is a breeze. When we ordered, we were informed that because it is already late in the day the skin of the lechon is no longer crunchy, that was disappointing. We still ordered lechon, adobong Kangkong (Water spinach in soysauce and vinegar) and ginisang mongo (sauteed Mung beans) to balance our meal. The lechon is good and has a different flavor specially the skin part. The meat was tender and still juicy even after a few hours after it was cooked. 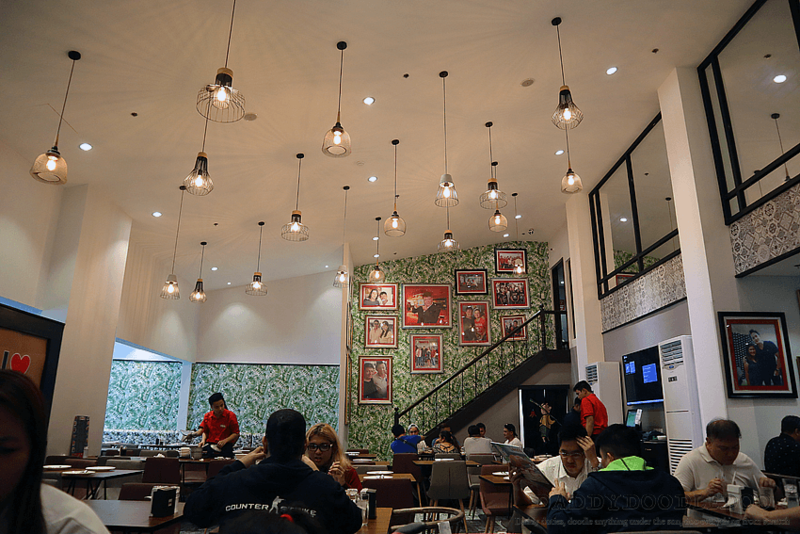 The restaurant is spacious filled with pictures of famous people that has eaten at Rico’s lechon. 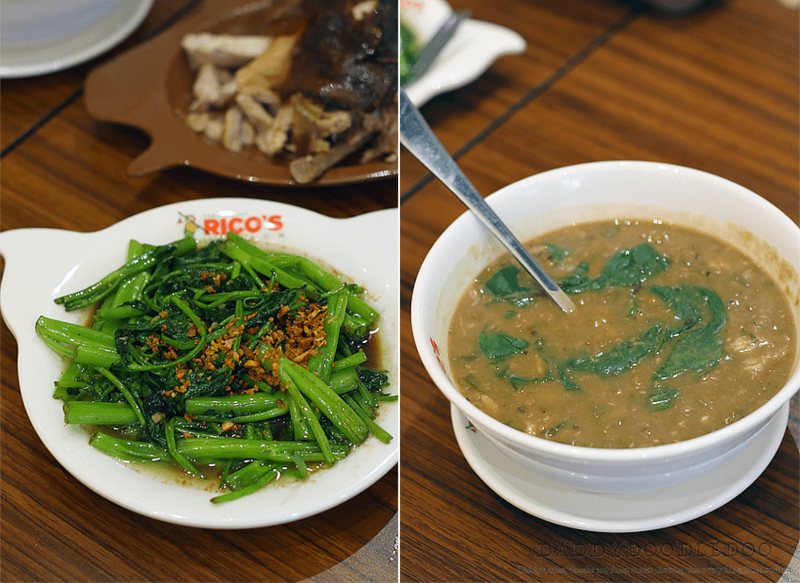 Rico’s lechon also has an extensive menu that contains a lot of dishes famous in Cebu. In my opinion the most delicious lechon is eaten when it is newly cooked when the skin is crispy and the meat is tender and full of juicy flavor. My advice is to try to go there early. Rico’s opens at 10 am, but for me because I am from the north, I will just wait for their Ayala Cloverleaf branch to open and try it to eat there again. For now I will just stick to my go to lechon place, La Loma.